If you suffer from a severe injury in your shoulder caused by the tearing of the ligaments surrounding the shoulder socket you might suffer from an SLAP tear. If you do you must undergo a repair process. The repair process is a surgical process through which the torn area is fixed. Going through this surgery is a last resort and it should be something only recommended for people who have already tried all nonsurgical alternative options.One of the main reasons it is recommended only as a last resort is because this particular injury can be very difficult to diagnose and people who undergo the only sure fire way to diagnose the injury have to subject themselves to a minor surgery at which point they can have the affected area repaired. If you experience pain in your shoulder which has become incredibly severe and interferes with your daily activities you might require this procedure. If you are resting or trying to sleep and the pain in your shoulder remains you need to speak with phoenix orthopedic doctor about your potential surgical options. If you begin to lose motion when you trying Raise your hand over your head and your shoulder is in pain when you try to sleep it might be a symptom of tendinitis. If you try and lift things or move your shoulder and it feels stiff and is difficult to move behind your back it might be a sign that you have this injury. If you undergo a repair the first thing that happens is the administration of anesthetics. You might have local anesthetics or nerve inhibitors. You might also receive general anesthetics. With general anesthetics you will remain asleep throughout the procedure and you will limit the amount of pain you feel after the procedure. With local nerve inhibitors the area undergoing surgical operation will remain numb and the nerve receptors will be blocked from sending pain to the brain. The differences that you will remain awake during the process. Many people opt to use both forms of anesthesia to limit the amount of pain they experience and to stay asleep during the process. Once that is done fluids will be injected into your shoulder in order to inflate the joint this makes it significantly easier for the doctor to look around inside of your joint and locate the cause of your pain and also rectify the problem on site. 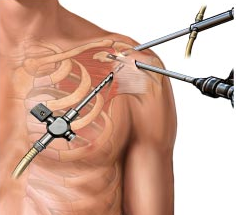 Once this is done the doctor makes a small incision in your shoulder through which a camera and two are inserted. This camera sends direct feed to the operating video screens so that the phoenix orthopedic surgeon can see inside of your joint. Once the surgeon locates the problem area they will cut a secondary incision through which microscopic surgical tools are inserted. The smaller incisions control the amount of bleeding and help to cut down on the amount of time it takes to recover from the procedure. 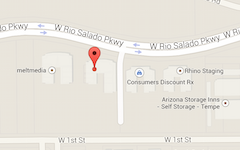 For more information on SLAP repairs, contact the top phoenix orthopedic surgeon today.